EAST RUTHERFORD, New Jersey. El Tri eased some concerns over their play coming into the World Cup qualifiers and FIFA Confederations Cup games with an emphatic 3-1 defeat of rivals Republic of Ireland, while giving ‘Chicharito’ Hernandez a rest. 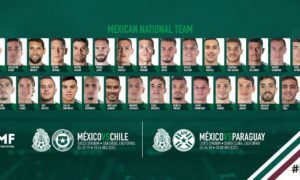 Juan Carlos Osorio’s Europe-based contingent, including Jesus Manuel Corona (15′), Raul Jimenez (pen. 24′), and Carlos Vela (53′) contributed the goals to the victory for El Tri, while Stephen Gleeson (75′) ensured that The Green Army would not leave for Dublin empty-handed. Electing to go with a 4-3-3, with Jorge ‘Burrito’ Hernandez once again in a volante role, El Tri opened the game by absorbing a significant amount of Ireland possession. 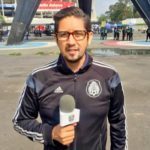 But El Tri were able to work the better chances in the opening phases of the game, including a 10th minute long-ball by Jonathan Dos Santos which eventually found its way to Jesus Manuel Corona. But ‘Tecatito’ Corona could not finish that initial 1-vs-1 with a shot on target. Five minutes later, ‘Tecatito’ got his goal and opened the scoring in style. He went on a long dribble past a couple Ireland defenders, cut to the center of the pitch outside the penalty area, and fired a hard shot that beat Ireland goalkeeper Darren Randolph. Then, in minute 24, after John Egan brought down Carlos Vela inside the penalty area, Raul Jimenez sent Randolph the wrong way to double the Mexico advantage. Eight minutes after Juan Carlos Osorio made three halftime changes to his side, Carlos Vela stretched Mexico’s lead to 3-0 from a shot from close range. Oribe Peralta, who had come on to start the second half, fired a shot/cross that was deflected by Darren Randolph into the path of ‘Carlitos’ Vela, who finished off the chance. However, the clean sheet would not last. Stephen Gleeson pegged a goal back for Ireland in the 75th minute off a shot that deflected off the foot of Oswaldo Alanis to cut Mexico’s lead to 3-1. But in the end, that is as close as Ireland would come as Mexico held on for the friendly victory. 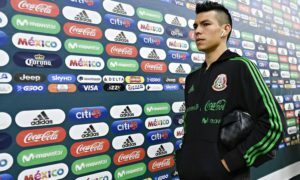 There was other good news for El Tri that came in the second half, as Rafael Marquez returned to action for the first time since his injury in Mexico training in late March. 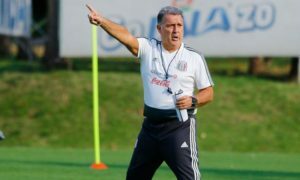 El Tri return to Mexico City, where Juan Carlos Osorio will cut nine players from the selection, and take on their two June FIFA World Cup qualifiers, first against Honduras on Thursday, June 8, and then the United States on Sunday, June 11. Martin O’Neill’s Ireland selection next returns to Dublin to host Uruguay in a friendly on Sunday, June 4 before taking on Austria on Sunday, June 11 in a FIFA World Cup qualifying match.